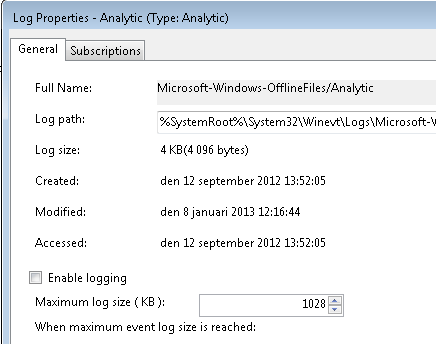 When you look at the properties of these logs you will notice that some of the logs is not enabled. 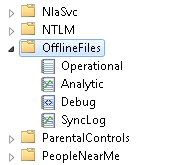 So how do I manage these log settings from the command prompt? This command can more or less help you do anything with the logs, list the logs, set and get configurations, query logs, export etc. It’s also possible to the command to a remote computer. Hit wevutil /? 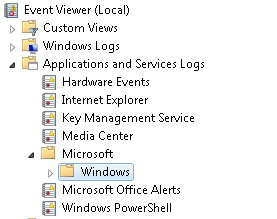 at the prompt for more information, to configure the event log requires administrator privileges so don’t forget to run the Command prompt elevated. For more information about each command, write wevtutil Command /? Example: wevtutil set-log /? To enable/disable a log, use the Set-Log command and the option /E for enable and a value true/false and if you want the command to be silent, just add /Q:true for quiet. To set the max size of a log, use the Set-Log command and the option /MS for MaxSize and a value, remember that some logs needs to be disabled first. To clear the log, use the Clear-Log command, and again remember that some logs need to be disabled first. The first script could enable the log and followed by a restart command. The second script could export the log, disable it and clear the log.